The spacecraft will depart the ISS, along with critical scientific research, at 12.37 p.m. EDT and splash down in the Pacific Ocean at about 6.17 p.m.
After delivering more than 5,900 pounds of science and supplies, the SpaceX Dragon cargo spacecraft is set to depart the International Space Station (ISS) to Earth on Friday. The spacecraft will depart the ISS, along with critical scientific research, at 12.37 pm EDT and splash down in the Pacific Ocean at about 6.17 p.m., NASA said in a statement. The spacecraft is expected to bring along more than 3,800 pounds of cargo. This will include science samples from human and animal research, biology and biotechnology studies, physical science investigations and education activities, the statement said. Dragon will also be returning a Latching End Effector that was removed from the station’s robotic arm to be refurbished on Earth and returned to the orbiting complex as a spare. NASA will receive time-sensitive samples and begin working with researchers to process and distribute them within 48 hours of splashdown. 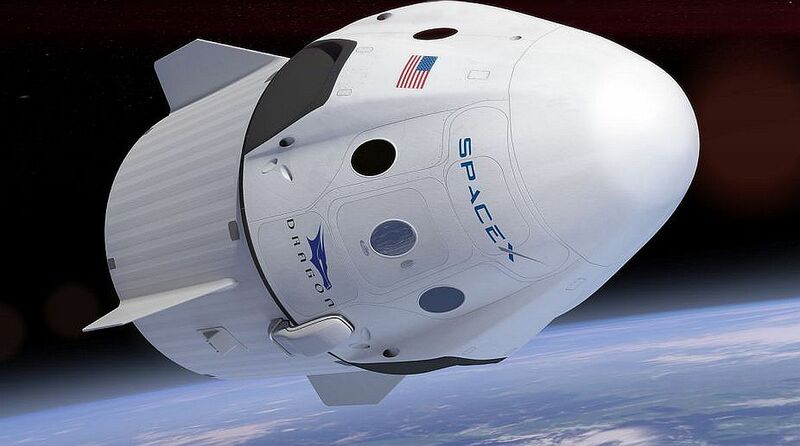 Dragon was launched on June 29 on a SpaceX Falcon 9 rocket from Space Launch Complex 40 at Cape Canaveral Air Force Station in Florida, US and arrived at the station on July 2, for the company’s 15th NASA-contracted commercial re-supply mission to the station. Expedition 54 Flight Engineer Serena Aunon, Chancellor of NASA, will monitor its departure as the spacecraft is released through ground-controlled commands. The ground controllers will use the space station’s Canadarm2 robotic arm to detach Dragon from the Earth-facing side of the station’s Harmony module and manoeuvre the vehicle into its release position. Dragon’s thrusters will fire to move the spacecraft a safe distance from the station before SpaceX flight controllers in Hawthorne, California, command its de-orbit burn.